We design inspiring landscapes personally tailored to your taste. Your yard may need a “face-lift” or a “total makeover” to give it that 21st-century dynamic, bold look of stone, hardscaping the terrain with the flow of new beds and gardens, highlighted with the “moss boulders” of West Texas, or the flagstone slab from eastern Oklahoma. Anything from small bed creations to major projects will be designed to meet your desires, to fit your own ecosystem, and to achieve the look you want. Our designers will meet with you and hear your wants and desires. We will come up with a design that is both tasteful and functional in every application on both commercial and residential projects. Call one of our designers today to “walk” the landscape with you for new ideas in the spring and summer! 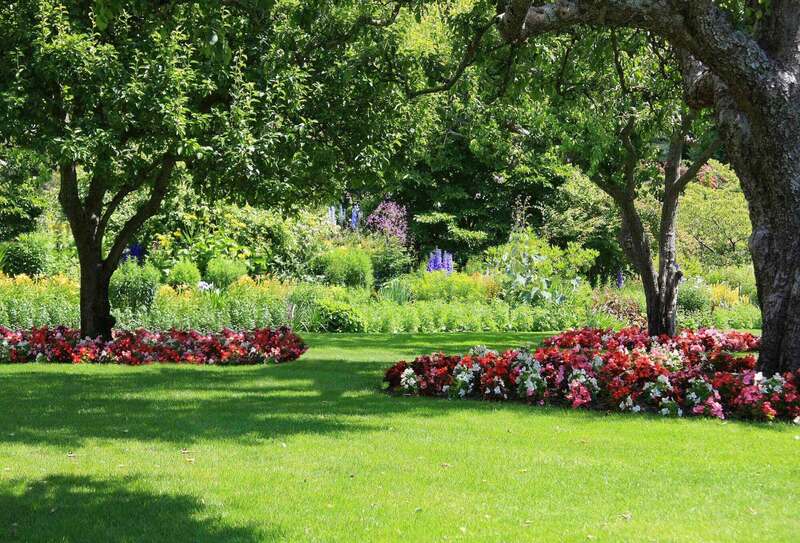 We work hard to care and maintain both your commercial and residential grounds. Shrub & bed maintenance is ongoing, seasonally changing year after year. It is critical in the longevity of your plants to keep them looking great long after the initial installation. Our team is very gifted for recognizing problem areas and needs of your landscape. We will outline a program for “complete” service, including everything from weekly weeding, trimming and pruning of shrubs and plant material, changing light bulbs in your landscape lighting, cleaning out your waterscape feature, gutters, and power-washing your patio and/or any combination of the above services. Whether you’re a corporation or have a small residential lawn, our mowing maintenance team can provide superior mowing, shredding, edging and blowing services, etc. to custom fit your situation. We have the equipment to tackle acres of greenspace efficiently. Crews are set up on weekly, bi-weekly or custom service schedules. Our maintenance program outlines all of the services for the duration of a year and averages the cost to be paid monthly like some of the utility companies’ average billing. Whether winter or summer, your landscape grounds will always look its BEST! Call us today to meet with one of our team members and receive a proposal for your maintenance. You want a company that has experience, industry knowledge, and, of course, innovative ideas. Our irrigation department has the background and knowledge that you are looking for, and we WANT to work with you. 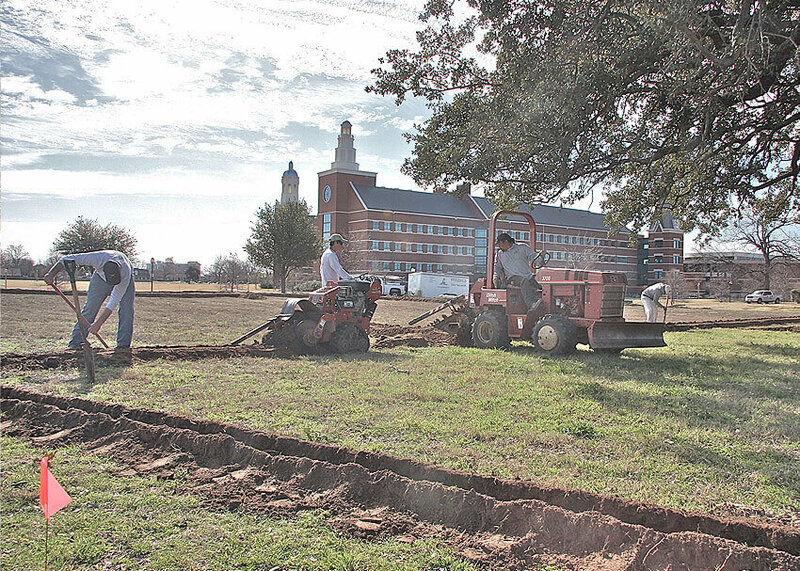 Fitzgerald’s continues to stay on the top of the irrigation industry in the state of Texas. We have devoted countless hours to seminars, classes, and schools to keep our team educated on the latest industry advances. We are pleased to announce that we now have not only David Rasco as our licensed irrigator and back flow tester, but also have state licensed technicians that will be on site at all times. These men not only have well over 20 years each of practical experience but also are now state certified to bring you even better service. Our goal in the irrigation department is to give the best customer service while providing the most professional product possible. To accomplish this, we keep the customer informed of all options included as well as new products available. We strive to inform all customers about industry standards as well as state and local rules and regulations. We want to continue to provide all of your irrigation and back flow prevention needs year after year. Fitzgerald’s has a full service Tree Care Division that includes pruning, removal, consultation, bracing and cabling, oak wilt diagnosis and treatment, fertilization, and planting. 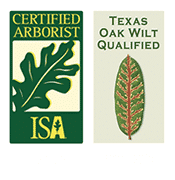 Our Certified Arborist will review and inspect your hardwood and ornamental trees to see if your trees need thinning, lifting of low limbs, deadwood removal, mistletoe removal, or all of the above. We have the equipment and skilled personnel to complete the hazardous process of pruning large trees. We are very conservative in leaving as much foliage as possible because green leaves and foliage help trees thrive. One suggestion is to give your trees that spring feeding: to aerate and be sure those important root flares of the tree trunks are properly exposed. Winter is also the prime time for tree care! Our trimmers have been with us for over 6 years and bring a lifetime of tree trimming experience. They will maximize each tree’s magnificence and longevity. In light of all the Oak Wilt and other tree diseases, it is important to take all precautions in trimming your trees. Our certified arborists can meet with you on site to discuss stressed or diseased trees to help you build a plan to preserve your trees during construction. Our trimming/pruning equipment is sterilized before entering your property to assure that no tree diseases will be brought to your trees. 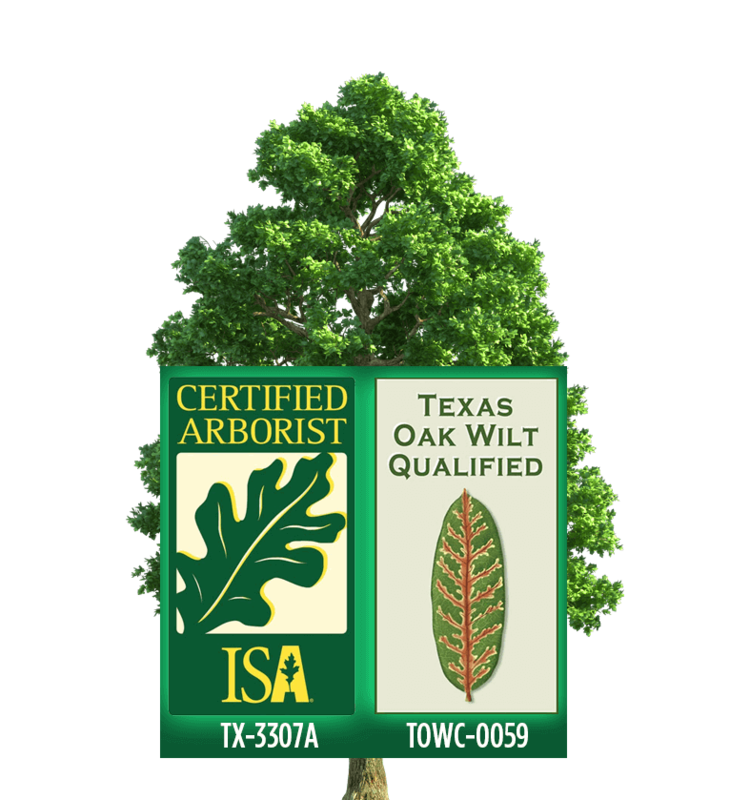 In order to protect your diseased trees, Seth is Texas Oak Wilt Certified, and he will help you with your diseased oaks in addition to preserving your healthy ones from possible infection. We are fully bonded with general liability insurance for the protection of your property and also maintain full workmen’s compensation insurance for the protection of our climbers. 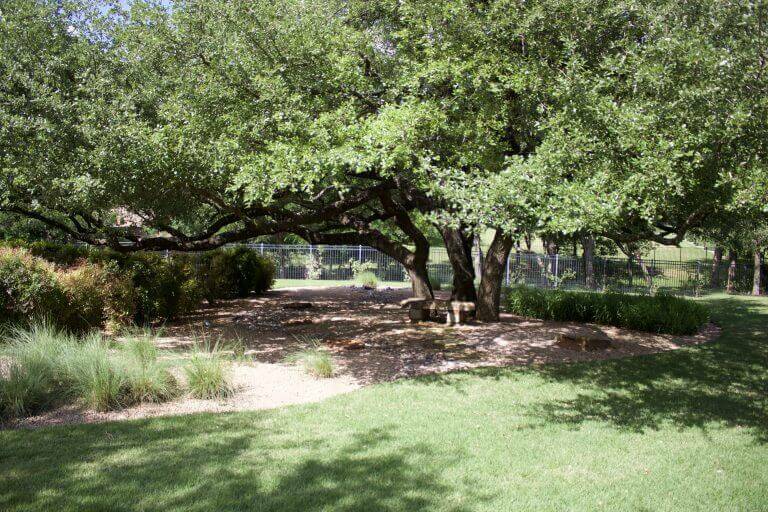 Our team will stabilize and preserve your high risk trees with quality hardware and proper placement. The Fitzgerald professional can give your deficient trees a soil injection formula or soil amending to bring them back to life. We are insured for your protection. Contact Seth to schedule an appointment for any of your tree needs! 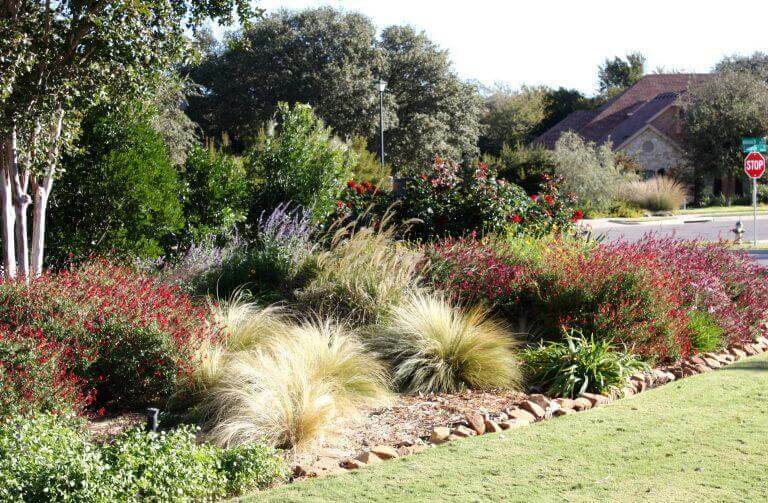 The Fitzgerald’s professional understands that every landscape is unique and requires special care when applying fertilizers, herbicides and fungicides. Fertilization is key in getting your lawn and landscape looking its best. Our team is keen on following our “Green Mission” and applying the latest products to have a kind impact on our community. On commercial and residential properties, our services include: fertilization, pre-emergent treatment, aeration of yard, herbicide, insecticide and fungicide applications. 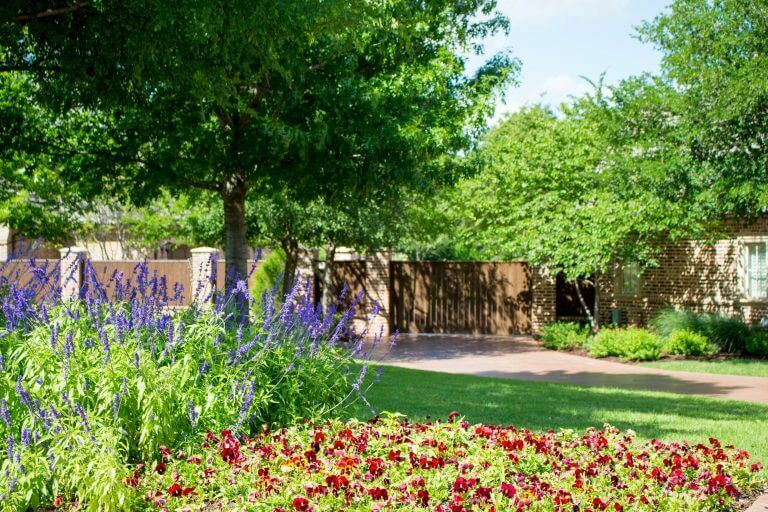 If you have questions on your grass or plants, our team will provide you a custom plan to combat disease and seasonal problems in central Texas. Our programs can be set up for annual contract to ensure your yard is taken care of at the correct time with the correct treatment. © 2019 Fitzgerald. All Rights Reserved.